A comprehensive new report on the use of non-human primates in federally regulated vivisection labs was issued today by SAEN (Stop Animal Exploitation Now). 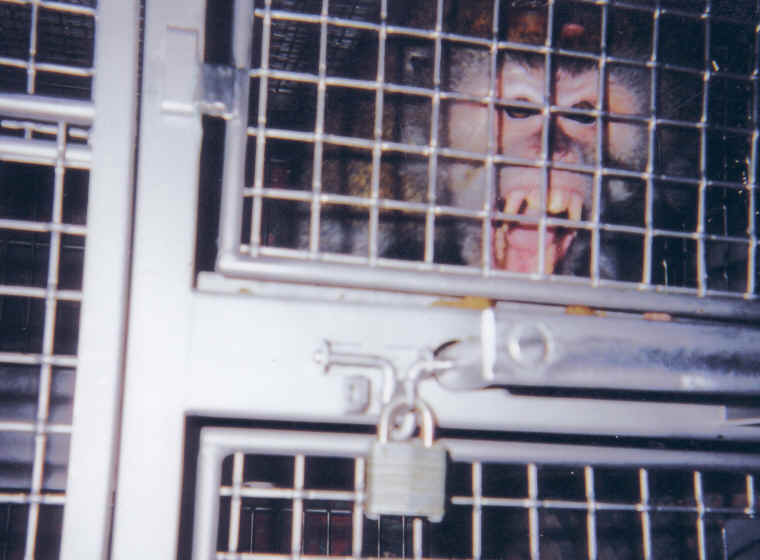 The report on the state of primate research is based on USDA documentation, including the little-known “exemptions” to welfare laws that mean animals can be deprived of enrichment, food, and water; that permit severe confinement; that deny anesthesia for procedures; and that even allow cages to go weeks without cleaning. The report, authored by SAEN co-founder and executive director Michael Budkie, calls out Emory University, Harvard Medical School, University of Louisiana at Lafayette, the National Institutes of Health, Oregon Health Sciences University, the University of Wisconsin at Madison, and Wake Forest University for together exempting 41 percent of the primates in their care from basic standards set by the Animal Welfare Act. In a clear conflict of interest, these exemptions to the AWA are decided by the very organizations that stand to benefit. The report also includes statements from current and/or former employees at prominent facilities, whistleblowers who stated while they are not ethically opposed to animal experimentation, they were “uniformly horrified” by what they had witnessed. “Because a member of our staff had an outside connection it was always known EXACTLY what day and time the FDA and/or USDA would be at Princeton for inspections,” said an unnamed worker at Princeton who gave numerous examples of animal cruelty and neglect he/she witnessed. The infamous New Iberia Research Center at University of Louisiana, Lafayette confines approximately 7500 non-human primates, 1773 of whom are used in experimentation and 5716 confined for later use or breeding. Whistleblower testimony revealed numerous examples of veterinary neglect, poor animal health, and poor working conditions. According to current USDA statistics, laboratories in the U.S. confine and torture more than 125,000 non-human primates – an all-time high. October 15-23 is National Primate Liberation Week. For actions scheduled near you please click here. Although some events have already taken place, there are still ongoing campaigns that need the support of animal activists. Please see The Thinking Vegan’s interview with SAEN’s Michael Budkie here.